Bees are inserted into the Red and Blue slots. 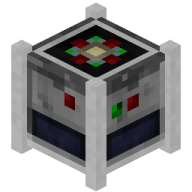 The blue slot contains the bee currently being sequenced, and is refilled from the red reserve slots. Once the progress bar has reach the end, the DNA icon will begin to fill up. 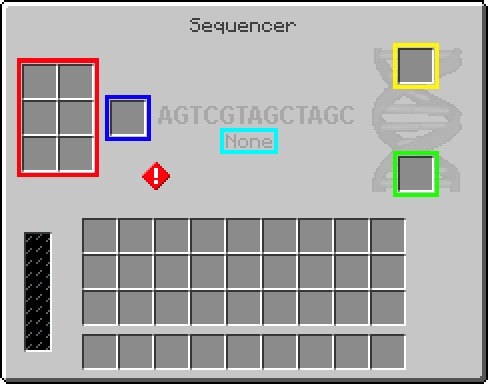 After several bees, the DNA bar will fill to the top and a blank template in the Green slot will be transformed into a species template in the Yellow slot. Once the DNA has started being sequenced, only species that match the text in the Cyan box can be sequenced. To reset the sequencer, remove the blank templates.